The Perodua Aruz makes its official launch debut today, and marks the national carmaker’s return to the SUV segment after the Nautica and Kembara. Customers will get two variants of the seven-seater to choose from, with the 1.5X being priced at RM72,900, while the range-topping 1.5 Advance (AV) goes for RM77,900 – prices are on-the-road without insurance. Only one engine option is available for both Aruz variants – a 2NR-VE 1.5 litre naturally-aspirated four-cylinder petrol unit that develops 101 hp at 6,000 rpm and 133 Nm of torque at 4,200 rpm. Equipped with Dual VVT-i and Eco Idle (auto start-stop), Perodua claims the Energy Efficient Vehicle (EEV) engine has a fuel economy of 15.6 km/l. If the engine seems familiar, it is the same one that you’ll also find in the latest Myvi and Toyota Rush. A four-speed automatic gearbox is standard regardless of which variant you pick, with drive going to the rear wheels. This setup is similar to what you’ll get with the Rush and the Indonesian-spec Daihatsu Terios, which the Aruz shares a lot in common with. Where it differs from its cousins is in terms of styling, noticeably at the front grille where the Aruz has an extra slat, with the third bar acting as the signature “wing” to the Perodua badge. The chrome bar also links the LED daytime running lights within the standard LED headlamps, which are more pronounced with “double lines” compared to those on the Rush. The Aruz’s lower apron is unique too, as it is more reserved in appearance compared to the Rush, which carries quite a number of add-ons for a more rugged look – the 1.5 X gets a black “front diffuser,” while it is body coloured on the 1.5 AV. Moving towards the rear, the Perodua model is similar to the Rush, with wrap-around LED combination taillights that are joined by a two-tier trim pieces in gloss black and chrome. Inside, the Aruz is significantly different from Rush as it gets its own dashboard design. Silver trim pieces help to frame the centre stack, and are also used to highlight the shape of the air vents. 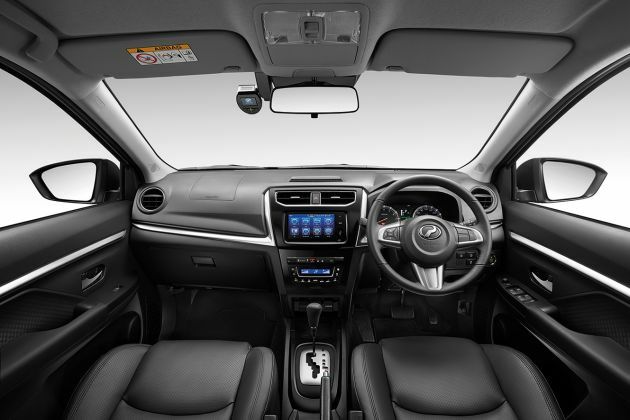 You’ll also spot Perodua’s own seven-inch infotainment head unit and controls for the single-zone manual air-conditioning system (with second-row blower) – standard fitment on both variants. As for the rest of the kit list, both variants come as standard with 17-inch two-tone alloy wheels, keyless entry and start, integrated SmartTAG, six airbags, ABS with EBD and brake assist, VSC, hill start assist, hill descent control and Isofix child seat anchors on outer second-row seats. The 1.5 AV naturally gets more goodies, including automatic on-off functionality for the headlamps, front fog lamps, roof rails, leather upholstery (fabric on the 1.5 X), leather-wrapped steering wheel and gear knob (urethane on the 1.5 X), piano black dashboard and door trim with chrome highlights, SmartLink functionality for the head unit and an integrated driving video recorder (DVR). Perodua’s Advanced Safety Assist (ASA) 2.0 suite is also exclusive to the 1.5 AV, which includes Pre-collision Warning, Pre-collision Braking, Front Departure Alert, Pedal Misoperation Control. While these systems are similar to what you’ll get with the Myvi, the Aruz’s active safety suite adds pedestrian detection (up to 50 km/h) and increases the operational speeds of Pre-Collision Warning to 100 km/h and Pre-Collision Braking to 80 km/h (from 30 km/h) – ASA 2.0 is similar in spec to the Rush’s Pre-Collision System. The Aruz has been certified with a five-star ASEAN NCAP safety rating. Other details? The Aruz can be ordered in one of five colours – Granite Grey, Electric Blue, Glittering Silver, Ivory White (solid) and Amazon Green – the last one being a new colour for Perodua. A five-year/150,000 km warranty accompanies each purchase. Also on offer is a range of Gear Up accessories for – the Utility package includes door visors, a luggage tray and coil mats for RM450, which is RM50 cheaper than if the items are purchase separately. For more information and detailed specifications about the Perodua Aruz, check out CarBase.my. Alternatively, you can also refer to our detailed spec-by-spec comparison of the two available variants. Don’t forget to share your thoughts on the Aruz in the comments below. Thumbs up for perodua. Only no brainer will go for 20K more expensive Rush. 1.5L engine so powerful can go slow and steady. Why no 1.5L turbo ? This car sure will be a top seller. All the P2 bashers will say all sorts of kutuk but every year for the past 10 years, without fail, Perodua sells 200,000 over cars and Proton sells only 50,000 cars per annum This is 4X the amount. This shows rakyat got confidence in Perodua cars. This car uses a Toyota/Daihatsu engine that is recognised and won awards in over 200 countries worldwide. Toyota engines have won awards in ALL FIRST World countries. Proton X70 is the Boyue and 95% of all the cars only sold in China. Geely tried so hard to sell the Boyue in First World countries but every country rejected it due to poor quality. Engine also got no awards. Have you wondered why all the US and UK car magazines like AutoCar, Top Gear, Motor Trend, Car and Driver NEVER review China made cars? err actually got la few review in autocar UK. US and europe market is very2 tough. Even local brand gm,ford (us)..land rover (uk) is suffering. Everybody is asking, why buy a China made car that has been rejected by all First World countries officially when you can buy a Top Japanese car for RM72k? Why pay more for a 5 seater X70 when you can get a 7 seater for cheaper the price? 8 years maa..8 years! everything is going up in 8 years. Even air filter for toyota vios is absurdly expensive in service centre. but i can buy the same item lot cheaper online. Aruz will beat lambo urus sales for sure. Lols. I guess the price should start from RM65K – RM70K. Then it will sell like hot cheese cake. cheese cake tak sedap dimakan panas tuan…. Until today no test drive unit.. Only no brainer will go for rm8k less expensive Toyota avanza comfortness. Wow.. looks good. better than Toyota Rush. This will sell like hot cake for 70k+ / Good specs / 7 seaters / spacious & Practical. If add in another High spec with 1.8 engine then will be perfect. This a bright new dawn for P2. All da best P2! Now Japanese cars nearly same price as our National Car. And now we hav the X70 vs.
Malaysians buy PErodua because spare parts prices are all published and displayed. PRoton X70 got no spare parts prices yet. Go ask PRoton also, they don’t know the prices yet. All X70 owners going to get a good surprise when you see the parts prices. there are more than 1.5 million Myvis on the road. In 6 months, Perodua alone sold 100,000 Myvis vs Proton selling only 3000 Iriz. So much of fake news but Savvy and Iriz all failed. If so good how come they failed? And now so many savvy terbengkalai tepi jln owner not afford to repair, parts too expensive and lama tunggu, no RV. 2005 savvy now rv rm5k oso nobody wanna buy, 2005 myvi now rv rm18-20k still banyak orang cari n beli. The Perodua Aruz makes its official launch debut today, and marks the national carmaker’s return to the SUV segment after the Nautica and Kembara to eliminate the X70 entirely into a history. Customers will get two variants of the seven-seater to choose from, with the 1.5X being priced at RM72,900, while the range-topping 1.5 Advance (AV) goes for RM77,900 – prices are on-the-road without insurance. Do you know that P2 only produced 200 Nautica ever in history? Yeah, P2 also have bitter history so don’t act like it never done any mistake. Our regular troll john now cannot get his dedak if sales of X70 goes down. To those guys who think that “ALL PERODUA DO IS COPY TOYOTA”. you all are pretty much pretending that this doesn’t happen somewhere else in the world. I mean look at Australia. They got Australian Holdens and they use American drivetrains, but nobody there seem to complain. FORD – found on rubbish dump. From a person who lives in thw DownUnder, both these Aussie made cars Ford and Holden, they’re not the most reliable of all cars on the streets, but they still keep the nation going. Still not bad although there’re issues like engine reliability and ride confort to be ironed out. Spares are abundance. In another words, Toyota earn RM25k above for each car sell to Toyota fans. That’s why Holdens is shutting down. Australian vote with their pocket no point supporting rebrand car. Lucky they copy Toyota and not China brand. actually Ariana John is another dumbo. First and foremost, Perodua is not a rebadging company. All these cars released by Perodua are joint development between Perodua, Toyota and Daihatsu. So, Perodua engineers were involved and were part of the team that developed all these cars. Don’t act smart if you don’t know! Smart enough to hope the price should be at 50k since 95% local part.. Where the money gone.. While the Aruz gets a unique dashboard design, the overall design is very similar to that found on the Rush. Also, the wheels. The Aruz wheels does not go well with the overall design. The painted spokes just are too thin and i think that they should have gone with non direction wheels. Please misused the terms of SUV. There isn’t any AWD version offer for this car! I know, right? Makes me laugh that they call this an Sport Utility Vehicle, when it only comes with a 100bhp rear wheel drive model. My old Vios would be better off-road. When we first heard about this car coming it sounded so great, and Wifey and I were hesitant to get our Subaru XV, a N/A 2.0 150bhp crossover with AWD. Now I am glad we didn’t wait for this shopping trolley of an “SUV”! I believe in Saudi Arabia they get the turbo version with AWD? Here in Malaysia we get the poverty spec as usual la. The XV is mostly for my wife, for my own use I was interested in the new Triton – then I find the Malaysian one, no rear diff lock, so enjoy your overnight stay on any muddy hills! FFS. This car is only certified safe up to 80 km/h? Then it better be confined to the left lane together with the motorcyclists, buses and heavy lorries. I’m sure people would rather buy a car with an award-winning reliable engine instead of a car that has been rejected by most of the world. The Aruz will sell like hotcakes! Furthermore,Perodua will only sell well if it is cheap not because it is Good. What award did the 1.5L engine in the Aruz won? World Engine of the Year? In the end, same 3rd world countries product only that no 1st world countries want. The Geely X70 has been rejected all over the world. This is why got berlambak stock in China. Volvo is doing very well, and guess who own them? Geely. Can you show me where it said ” only certified safe up to 80km/h? Read it a few times but couldn’t find it or is it in the video? A cheapened rebadge of an already underspecced but overpriced junk only sold in 3rd world countries? Sorry, not interested at the least. Only insults the intelligence of those looking for SUV. Better get Toyota Rush or Perodua Aruz than BRV. Cause Even Toyota Rush is manufactured from Perodua Plant, Toyota Rush have lots of safety features and lots of equipments features. Perodua Aruz have lots of safety features and many features. Whereas BRV got HSC, VSC but only two airbags with ABS and without ASA, blind spot monitor and Rear Cross Traffic alert and other safety features. As well as, Honda BRV have boring specs than Perodua Aruz and Toyota Rush. 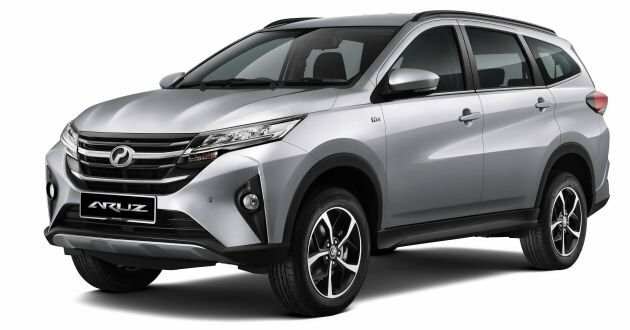 So overall, majority BRV owners will buy either Toyota Rush or Perodua Aruz. For X70, it is better to get X70 than New Facelift HRV. It is because X70 comes lots of technological features and lots of safety features. Whereas New Facelift HRV only have 4 speakers, no AEB, no Blind Spot Monitor, No Rear Cross Traffic Alert, Still using SOHC Engine and others that new Facelift HRV doesn’t have. Do you know how much for these features going to cost to maintain ? dont worry all ‘potential’ already in their BRV. U think they will buy another car in 4 year? Honda alreagy enjoy the profit. Better get Toyota Rush or Perodua Aruz than BRV. Cause Toyota Rush have lots of safety features and lots of equipments features. Even Perodua Aruz is manufactured from Toyota Plant, Perodua Aruz have lots of safety features and many features. Whereas BRV got HSC, VSC but only two airbags with ABS and without ASA, blind spot monitor and Rear Cross Traffic alert and other safety features. As well as, Honda BRV have boring specs than Perodua Aruz and Toyota Rush. 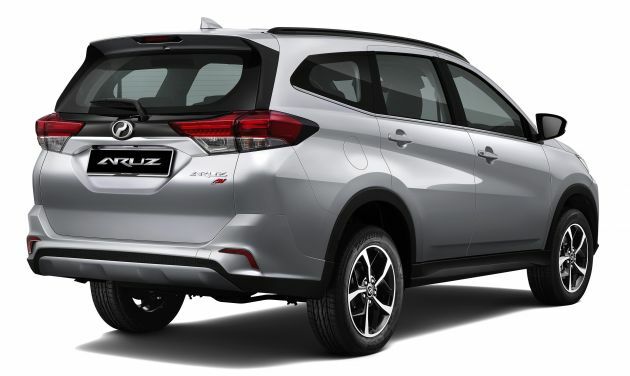 So overall, majority BRV owners will buy either Toyota Rush or Perodua Aruz. For X70, it is better to get X70 than New Facelift HRV. It is because X70 comes lots of technological features and lots of safety features. Whereas New Facelift HRV only have 4 speakers, no AEB, no Blind Spot Monitor, No Rear Cross Traffic Alert, Still using SOHC Engine and others that new Facelift HRV doesn’t have. Geely and Proton lie a lot. Seriously? Even a Proton Persona able to achieve 150Nm at 4000rpm. Only 136Nm of torque? Hmmmm…. PT should do review Aruz with 5 people on board going up Genting Highland. So,instead of buying the top spec Rush,u can buy the lowest spec Aruz,save the rm 25 K to buy a manual AXia.How about that ,for people who need to buy 2 vehicles.One mini suv plus an eco Axia. So ,definitely people jimat,wor.So UMW..your Rush can stagnate in sales. Alto X70 in different segment,Aruz may be a crowd puller,for obvious savings.The economy isnt rosy anymore.More jobs will be lost in 2019,so people tend to downsize spending. So,a smaller suv may be the norm in view of a slowing economy. By the time X70 buyers realise their suv is a fuel guzzler,whacking a litre of petrol every 6 km..potential n future buyers may opt for Honda or perodua suvs. You think the Aruz is going to be fuel saving? Pity you! Go ask Avanza or Rush users and you will know the real fuel consumption is no where near the claimed figures. At least the X70 is tech laden and feel better to drive. The Aruz will just bounce your lunch up your throat. Myvi desined head unit, climate control & steering wheel. Boring, not too excited. This is a car that the rakyat wants, and CAN afford. The X70 is a good car, but people can’t afford the expensive price the car has. 70k is overpriced for a car based on a 15 years old platform. Yes, you can trace the Aruz ladderframe to the 1st gen Avanza. From youtube, shows RUSH also better handling during offroad. Is there any different with Aruz? Still using 4 speed gearbox? Are we moving backwards..
A gud choice for Grab Drivers.. If you like rush and willing to pay, go buy rush. If you like aruz and rush but only willing to pay aruz, go buy aruz. If you don’t like both and rich, nobody cares. If you don’t like both and poor, better get a job get a better life pay all your loans instead of complain others. I am a great fan of Perodua models of vehicle. We’ve owned a brand new Kancil in mid-1990s and had loads if fun and happy memories driving it, without any issues what so ever. The only fun and satisfactory car I’d ever driven from Proton was the very first model Saga. The motoring scene in Malaysia somehow is very boring as compared to our northern neighbour Thailand, and Indonesia but any time better and more exciting than Singapore. Malaysia national car makers especially Perodua should produce dedicated 4×4 vehicles like utes or pick-ups similar to Ford Rangers or Toyota Hiluxs. I am sure they’ll be a demand for 4×4 vehicles in country expecially for the various government agencies, farmers and will be good for export too to countries like Australia where 4×4 light trucks are widely used. Come on Perodua’s executives, where are your creativity and vision? I think he is just trolling. It is common knowledge who won based on the sale statistics. You can even see it for yourself if you are living in Klang Valley which brand has more volume. 93.6 kms per 6 six litres of fuel consumption is not too bad ( Shouldn’t fuel consumption be in like 6.5 litres per 100km?) It would be better if buyers be given a wider choice of engines like a turbocharged engine (petrol and diesel ones too!) that would produce better engine power, improve fuel consumption and is safer for overtaking. 105PS(PS? ), some writings put it as 105 hp engine output to push a load of 7 human beings, would be a burden on the engine in the long run. When is Perodua going to export your models to Australia, the market here is wide open for another car maker? Come join Geely, Mahendra and the lot. Aruz has the dna of Avanza. But ordinary people do not care as long it solve problem finding a practical family car. Fuel savings, eligible for fuel rebates and subsidy. this car perform 0-100 in 14.5s and topping at 168 kmh with no passenger (got many youtube videos). i am telling this not for racing, but emagine carrying full passengers climbing hill (not simpang pulai, gerik-jeli, or genting highland), just a normal PLUS highway at jelapang……..
How can such a puny engine pull a buffalo? Impractical! Maybe designed to fail. Are those donuts in 15″ or 17″ actually? So you think can drift ha? Conventional handbrake or electric one on this P2? Is the 3rd row seat and leg room same with the Avanza? Anyone tested? finally a car for the masses! Does it really matter whether this Aruz will cannibalise the sales of Rush? They’re one family and the parents ie Toyota/Daihatsu are making profit either side. If I were Toyota, chill lah. For wealthier customers, go for Rush and you get a proper Toyota. If not, Aruz is equally good, albeit local brand. If this Aruz sells exceedingly well, which I believe it will, combined profit from Toyota and Perodua may even exceeds Honda’s profit two times, despite them being No.1 non-national brand in Malaysia. When Aruz announced,Honda damn happy because nobody going to buy the Rush. Honda is competing with Toyota and not Perodua, so those fancy the status will continue buying City over myvi/bezza, and BRV over Aruz.Rush DOA! According to some people, many cancellations received for BRV due to Rush and people jump ship. Dunno how true lah. You go ask around. Just settle by insurance then. Everyone have their own taste n needs. It might suite n might not suite you. No perfect car bord just like human. It depend how you see it n accept. You might think ur wife pretty, but not other people. You might think ur wife not pretty, but other might like it. Pretty wife might does not work well at night where ugly might give you perfect night. Just simple as that. i won’t pay so much for a local badge and underpowered car. anytime the exora is cheaper and more powerful. how come this car can be considered as subsidy eligible? fuel subsidy is targeting B40. tell me how someone that can afford buying car more than RM70K can be considered as B40? Meanwhile, those B40 that “die die” buying this car should not given subsidy because they should learn how to manage finance ……. Just visited the showroom and sat in this Aruz.. I would say the overall quality, the feel of the interior and exterior, and the design of the car is substandard. The interior of the car is quite flimsy and you can actually pull off the rear side of the boot panel with your hand! Come on!! 70k for such quality? And I can even see lights shine thru the inner fender and bumper gap.. Really cannot accept such quality of a 70k car..
7 seater suv, 1.5 na, rear wheel drive..enough power meh? What is your opinion? The FC of this self proclaimed SUV will be like a German at Oktoberfest. Sure some bugger will later say but got EEV so how come one. Caveat emptor. Every specs of the SUV is good except the ancient 4-speed auto. Could be a deal breaker for some buyers. Hope they upgrade to 5-speed auto or CVT like HRV or Vios in the facelift. A lot ppl booked already.. No test drive unit until today? It’s a trap.. All of us imagine aruz imagine a rebadged avanza that bounce like hell..
You just gotta love when our own nation’s cars are sold as expensive as foreign ones. What’s the bloody point? So cronies and AP fellas can drive even more luxurious cars. Sigh! Really dumbass Bolehland. Only diehard malaysian suckers will buy this piece of overpriced turd. That fin is hideous, why add it there?? Why!